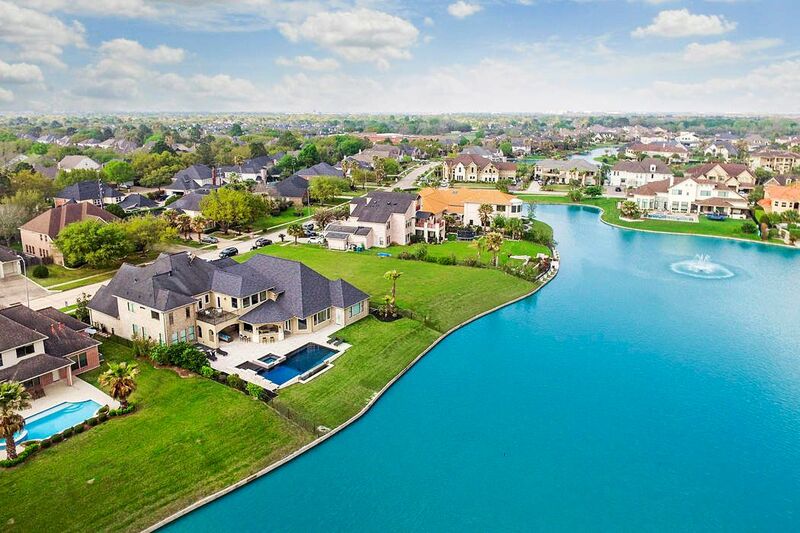 1911 Parklake Village Drive, Katy, TX 77450 | Martha Turner Sotheby's International Realty, Inc.
BIRD'S EYE VIEW Just imagine waking up to this sparkling lake. 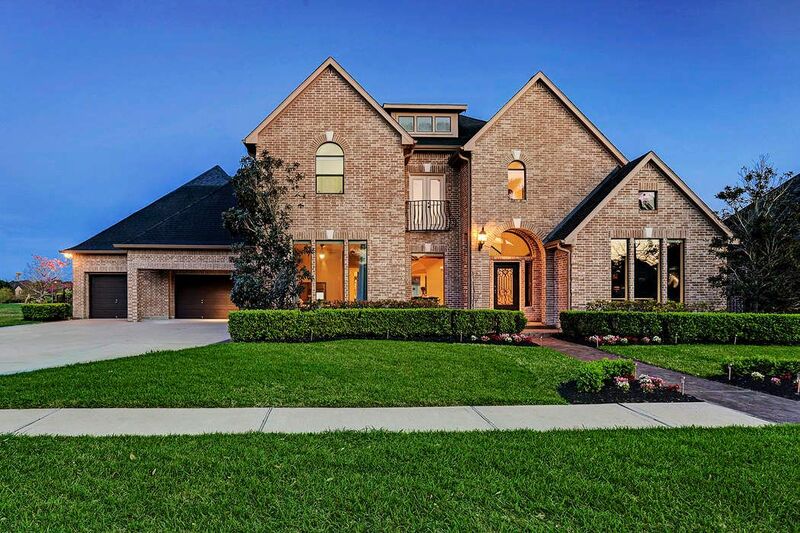 Impressive estate home with all of the bells and whistles is waiting to be yours. 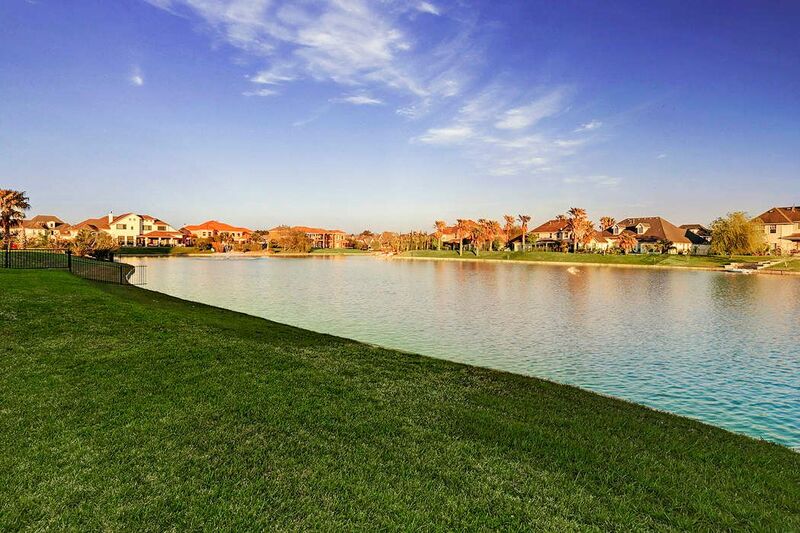 VIEW FROM REAR OF HOME Enjoy inspiring views of the sparkling lake that spans rear of home. Your own piece of heaven out of your back door. Serenity. How can the city be so close, yet so far away? ALTERNATE VIEW OF KITCHEN High end appliance package includes dual Bosch dishwashers, double Jenn-Air overs and Miele microwave and convection oven. Tons of canned lighting is found throughout the home. HMOE THEATER Absolute extravagance at its very best! 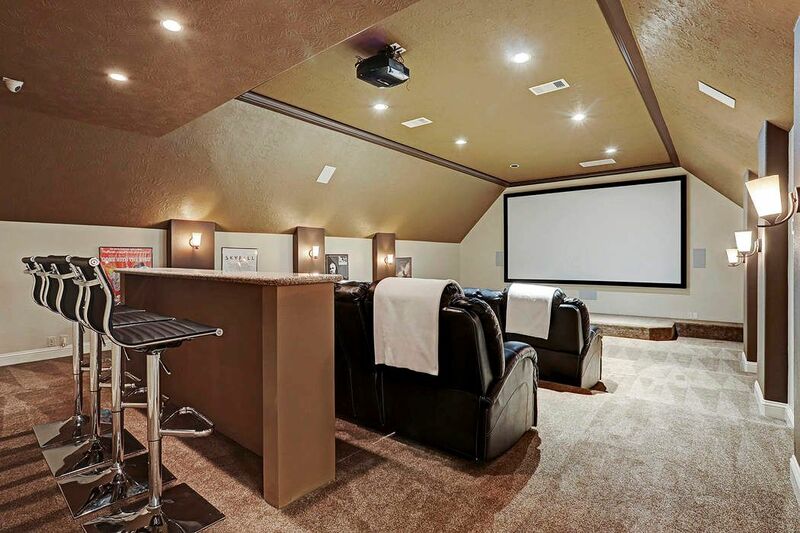 Huge home theater features like new tiered leather seating, immaculate carpeting and state of the art audio visual system. Have to see to believe. 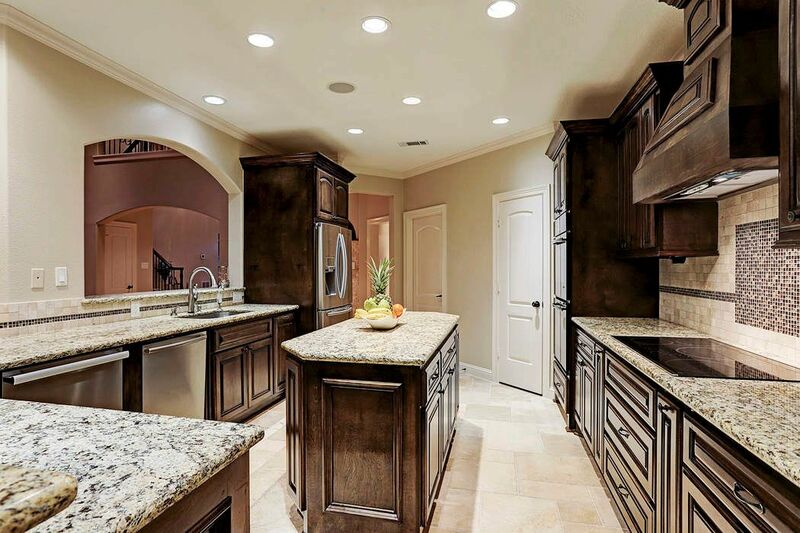 KITCHEN Large island kitchen with slab granite counter and tons of cabinet space. Upgraded, valued induction cooktop for cooking ease. Premium hands free kitchen faucet at left. BALCONY Expansive balcony have two points of access: game room and hallway landing. Starry nights are beautiful from this vantage point. Visiting with guests in the pool is easy from here! 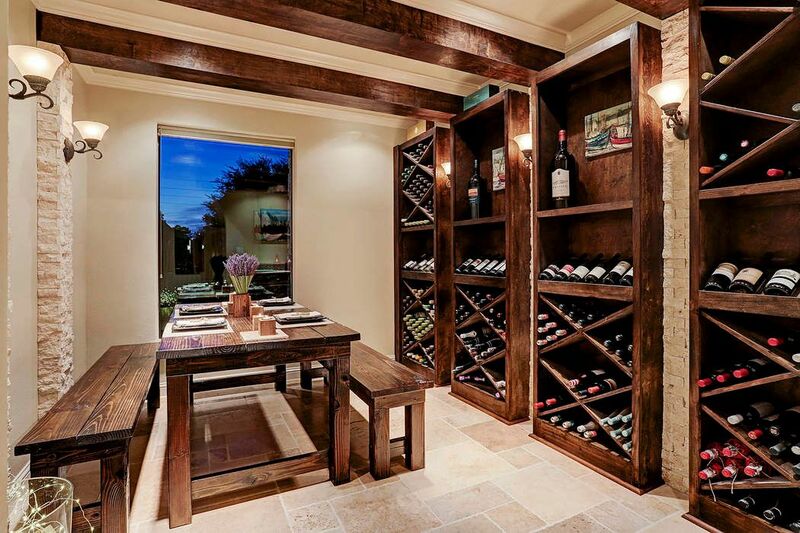 BUTLERS PANTRY Positioned between wine grotto and kitchen, with glass front cabinets and shelving and slab granite counter. WINE GROTTO Dedicated wine grotto flank entry at left. 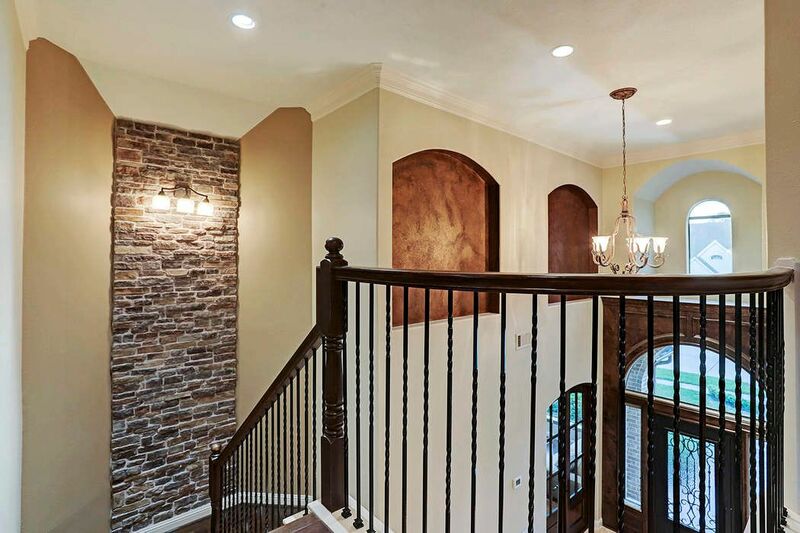 Built in shelving, wooden bean detail, sconce lighting and stacked stone detail adds warmth and character. Invite guests for chees and aperitifs. 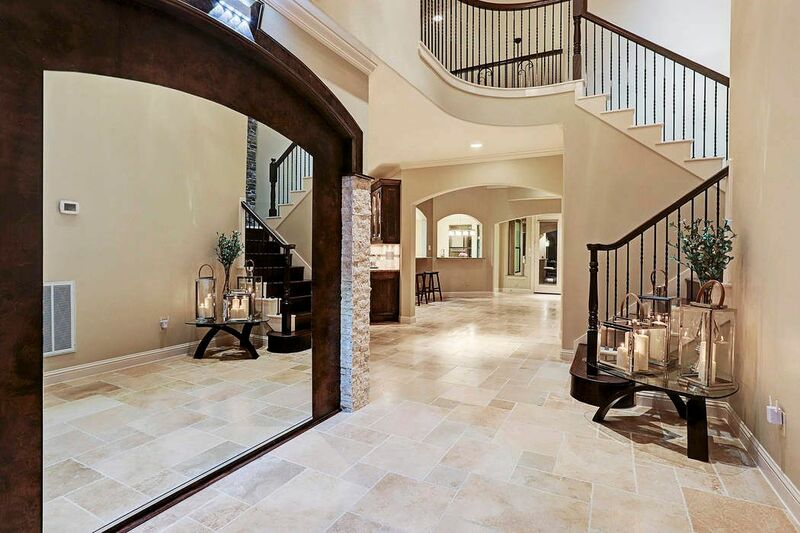 ENTRY Guests are greeted and find impressive light filled entry with soaring ceiling. Versailles pattern travertine flooring throughout much of the first floor. One of two staircases shown. MORNING ROOM/KITCHEN Light filled and with direct view of lake is generous breakfast room just off the kitchen. Please note stacked stone detail on breakfast room bar. Stone detail is carried throughout much of the home. 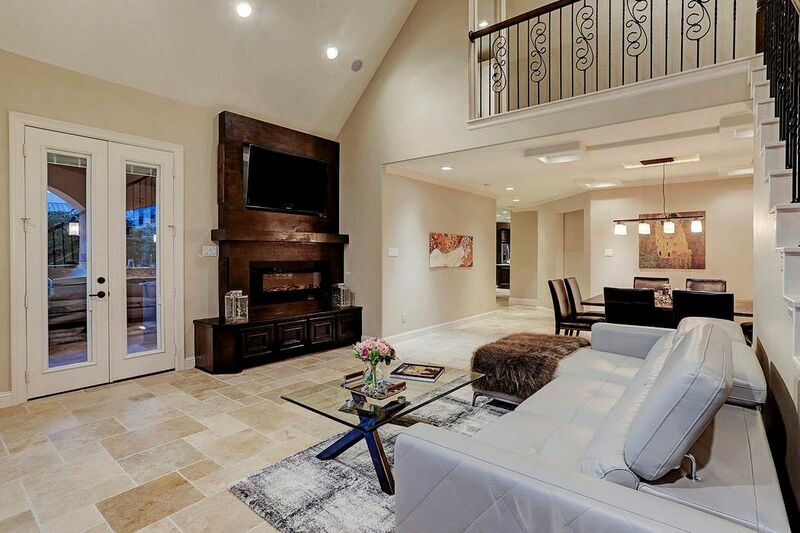 GREAT ROOM Dramatic wo story great room is just beyond entry and boasts stone fireplace. built in shelving and direct access to covered loggia; opens to kitchen. FAMILY/DINING Soaring ceiling with interesting architecture is found in this space. Along with contemporary built in entertainment system. FAMILY ROOM Family room is nestled at the rear of the home next to the Master suite with direct access to outdoor entertaining space. Quality built in wooden mantle piece with modern gas fireplace. 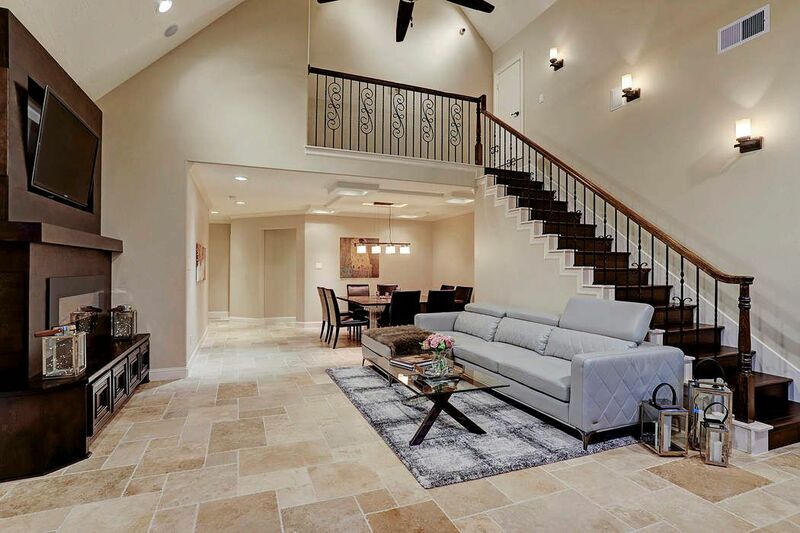 Stairs lead to home theater and game rooms. 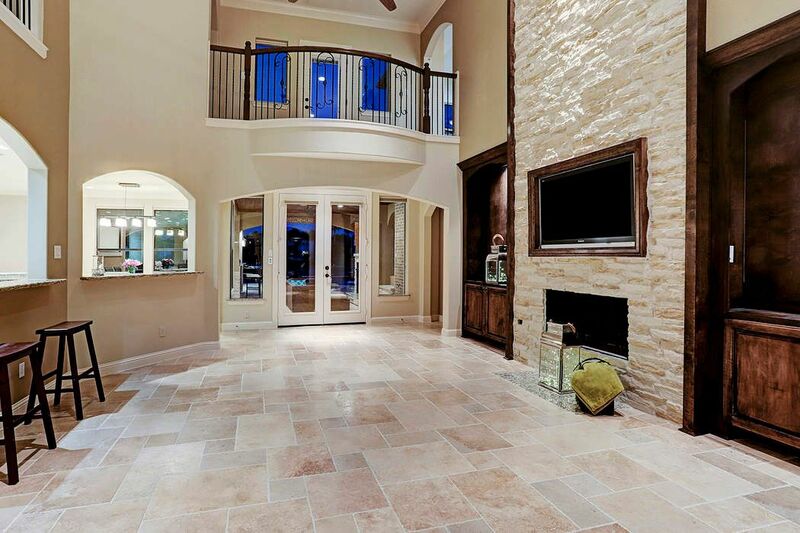 ALTERNATE VIEW OF FAMILY Pretty travertine flooring continues as do breathtaking water views. 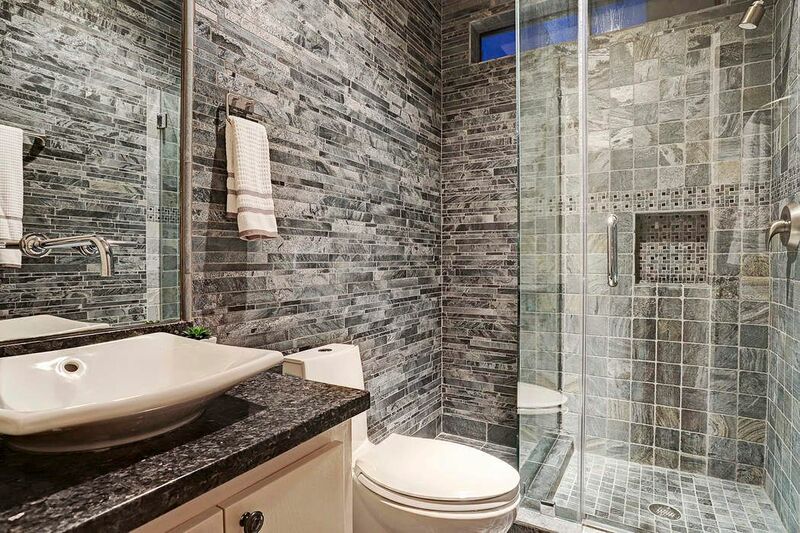 POWDER BATH Half bath added in 2016 and feature pretty tasteful wall tile detail and vessel sink. 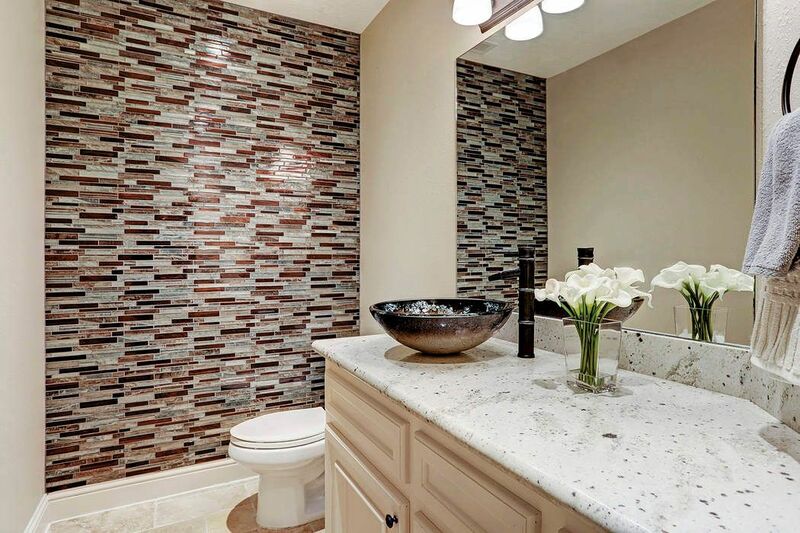 Matching granite in master bath for seamless aesthetics. 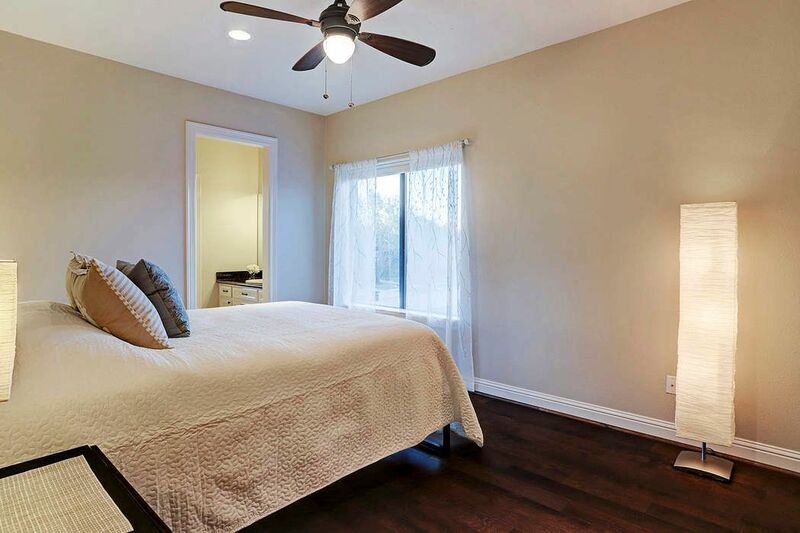 MASTER SUITE Generous master, nearly 20 X 20 has high ceiling and wide planked hardwood flooring. 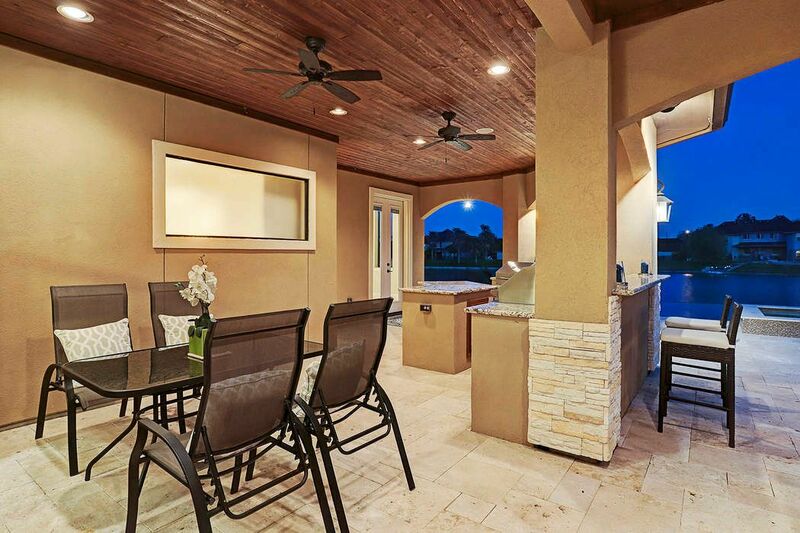 Glass front door provides access to outdoor entertaining haven. Awake to abounding lake views. MASTER BATH One of two master suites down, this one is found at rear of home. Addition was completed in 2016. 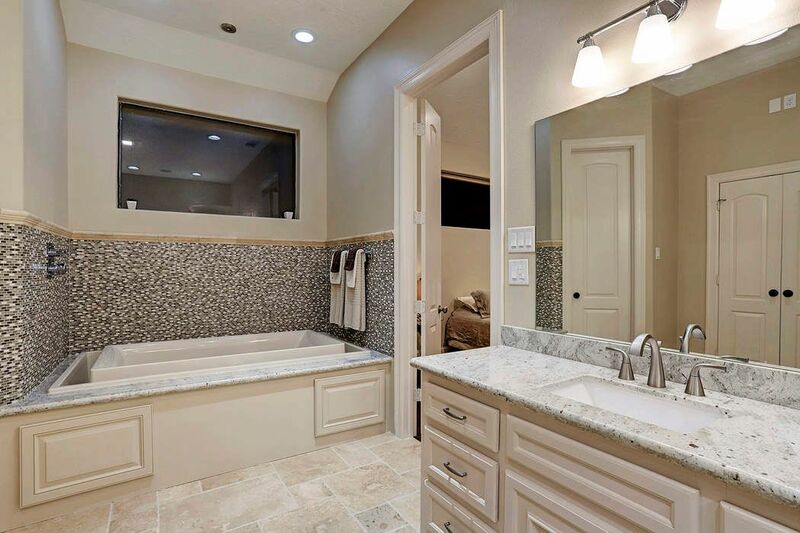 Lavish bath with upgrades galore include oversized roman shower with bench seating and dual sinks as well as superb lighting. MASTER CLOSET Large with utility built in shelving and extensive drawer system, simplifies organization. 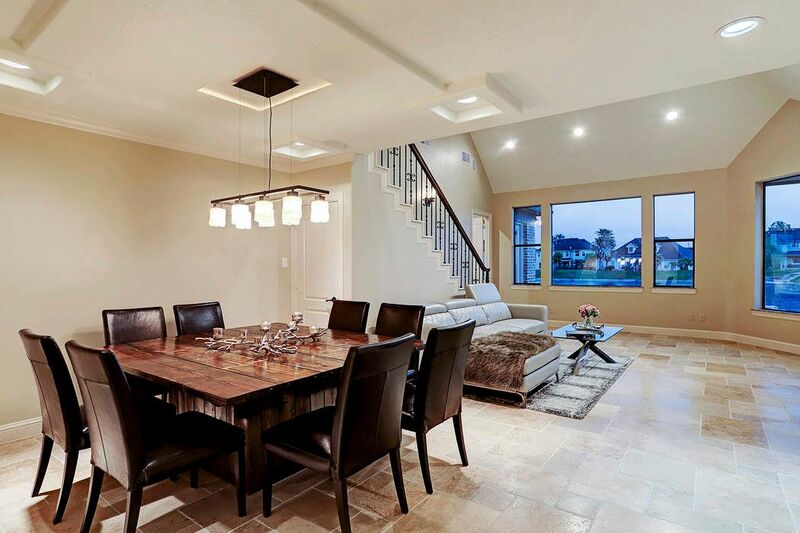 Nice lighting with hardwood flooring. SECOND MASTER DOWN Dedicated second master down has wide planked hard wood flooring, pretty neutral paint and views of the lanai and lake. Second master is located on alternate side of the home for privacy. 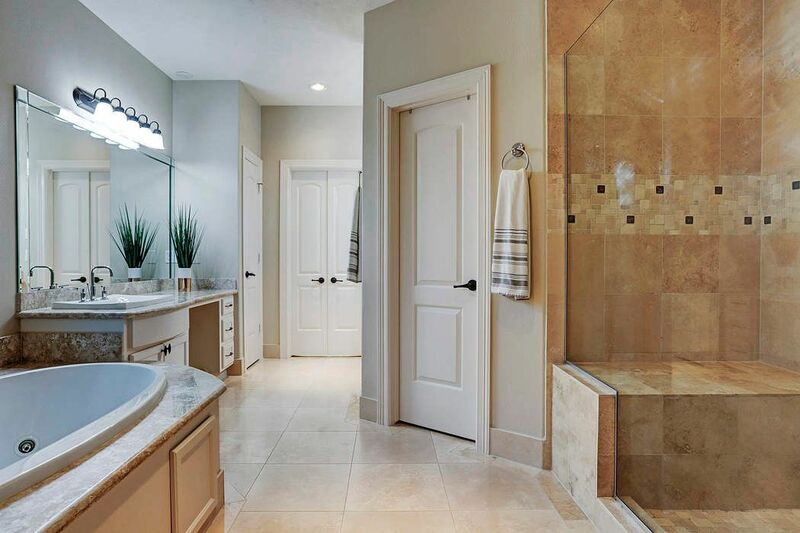 SECOND MASTER DOWN Tasteful details found in lavish second master includes oversized shower with bench seating, deep jetted soaker tub, dual sinks and HUGE closet. POOL BATH This is not your ordinary pool bath, Added in 2016, pool bath is accessible from the covered patio and is gigantic. 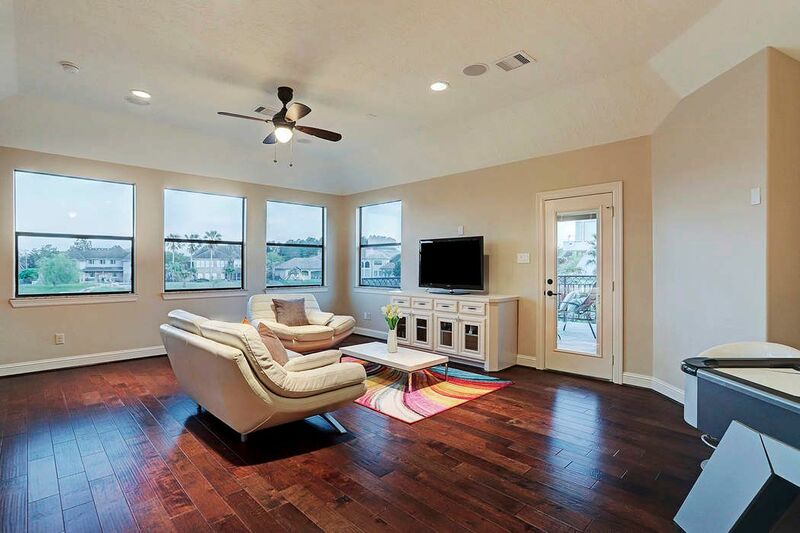 High end, pretty finishes include slab granite, travertine flooring and subway tile design...even prettier in person. COVERED LOGGIA Yet another seating area for family and guests replete with fireside warmth and tremendous views of the lake. Every detail carefully selected and quality crafted. ALTERNATE VIEW OF HOME THEATER Imagine watching the big game here with friends...or the newest action feature release. There is room for the whole team here! 170 inch screen with crystal clear resolution. 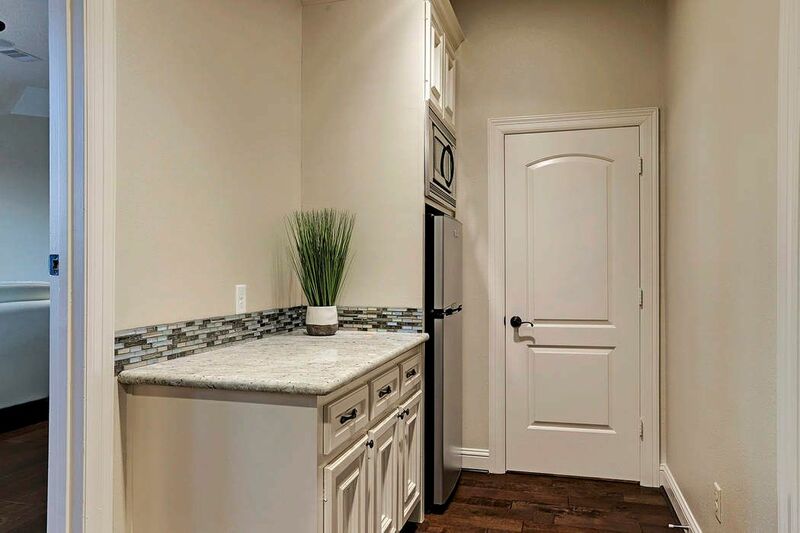 KITCHENETTE Charming kitchenette is conveniently situated between home theater and game room. Half bath just beyond closed door. 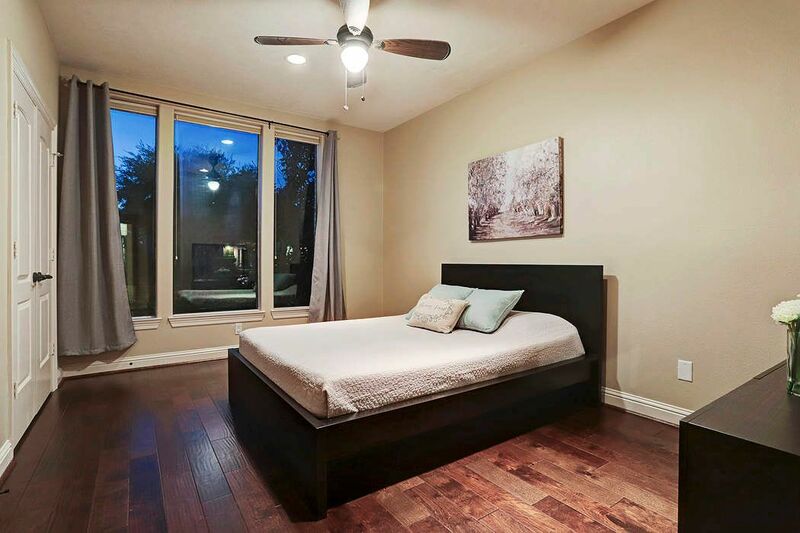 Wide planked, hardwood flooring throughout most of the second floor. AERIAL VIEW This view provides full view of rear of property. 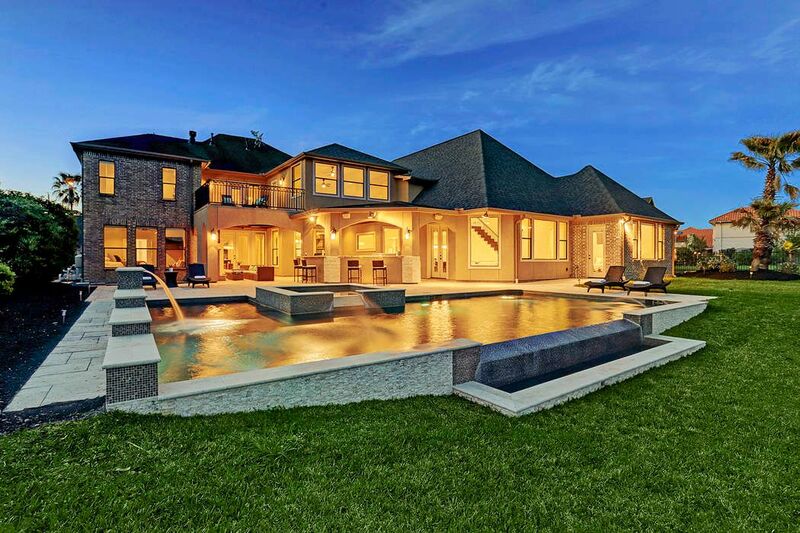 Huge home has huge outdoor living space and pool with tons of green space left over. Crystal clear blue lake spans rear of property. 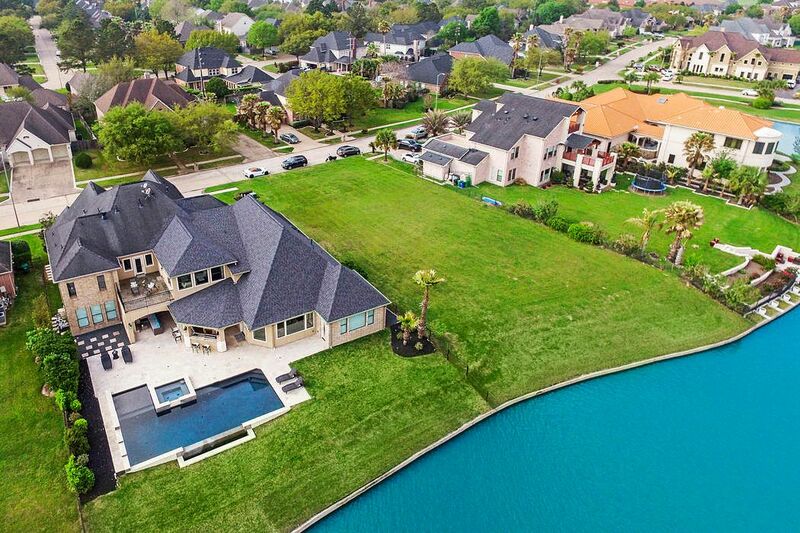 AERIAL VIEW OF FRONT ELEVTATION Dream home found within the gates of exclusive Parklake Village is situated on oversized waterfront lot adjacent to vacant lot. 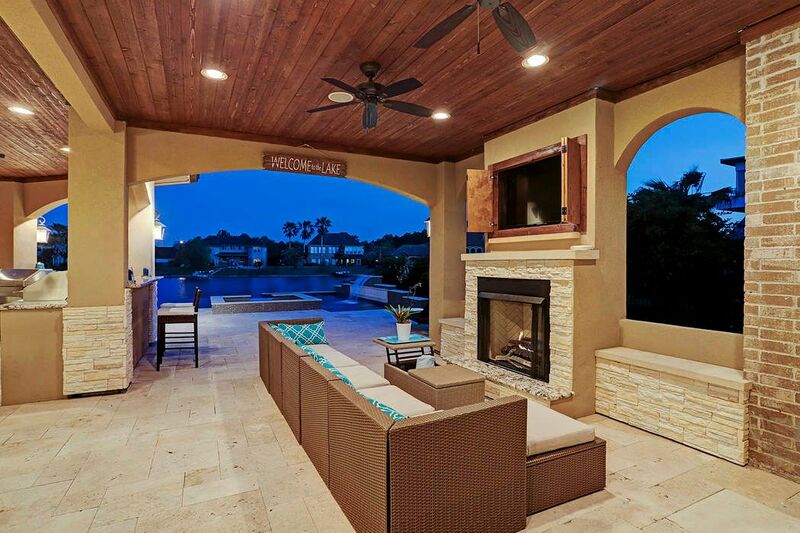 COVERED LANAI One of multiple seating areas with direct view of the oversized mounted television. 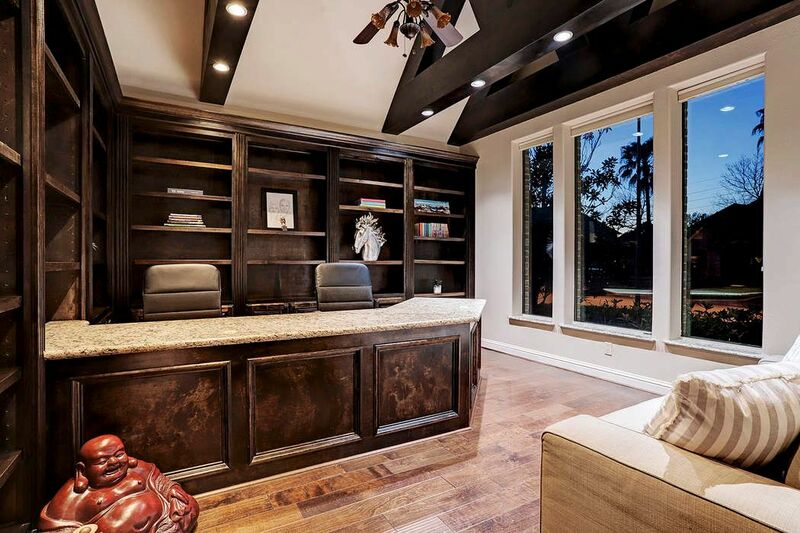 Attention to detail flows from inside out with wooden plank ceiling and more stacked stone. COVERED LANAI Endless features found the outdoor entertaining area. 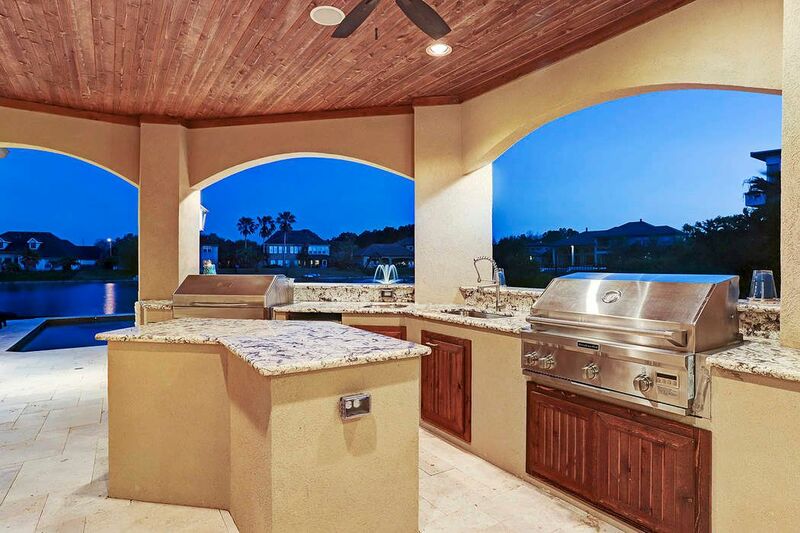 This fully equipped kitchen has two cooking choices...gas grill or smoker...both high end. GAME ROOM Enormous game room can easily accommodate seating area, pool table and pinball machines with room left over. Door shown leads to balcony. Wall of windows affords natural light and pretty views of lake. FULL BATH OFF SECONDARY DOWN Handsome stone and slate detail covers full bath just off THIRD bedroom down. 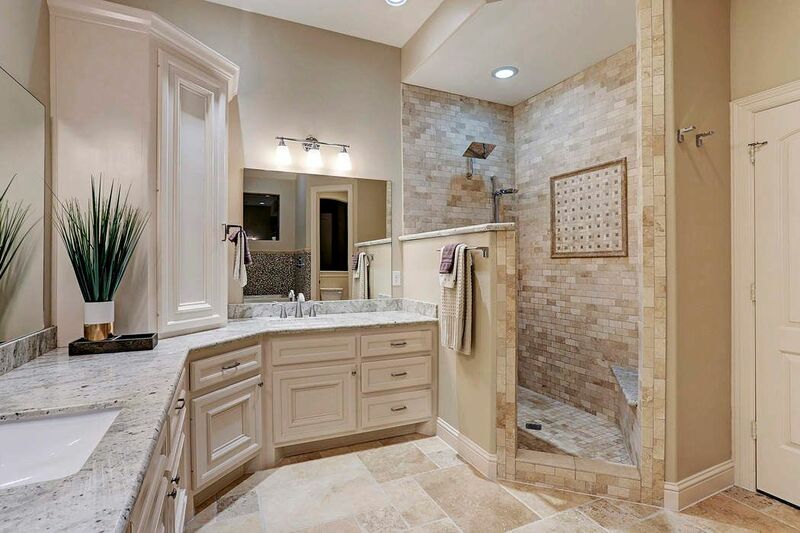 Vessel sink and seamless shower are noteworthy details. SECONDARY BEDROOM DOWN One of three bedrooms down (two masters and this one), found at front of home with hardwood flooring and wall of windows...six dedicated bedrooms in the house. VIEW FROM LANDING TOWARD ENTRY Quality craftsmanship is evident in this photo. Massive wooden entry detail flows seamlessly with double doors leading to home office along with floor to ceiling stone detail and sconce. SECONDARY BEDROOM One of six dedicated bedrooms in the home--three up and three down. Floor plan flows effortlessly. 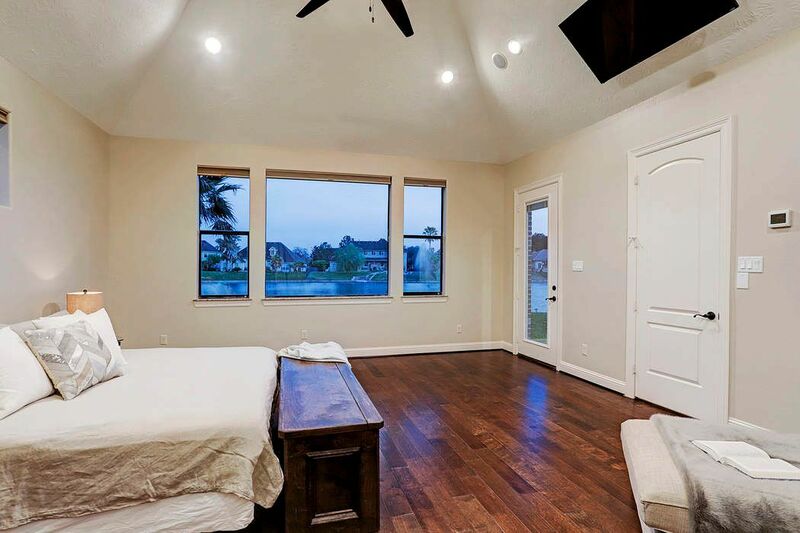 This one also has hardwood flooring and is adjoined by another bedroom. 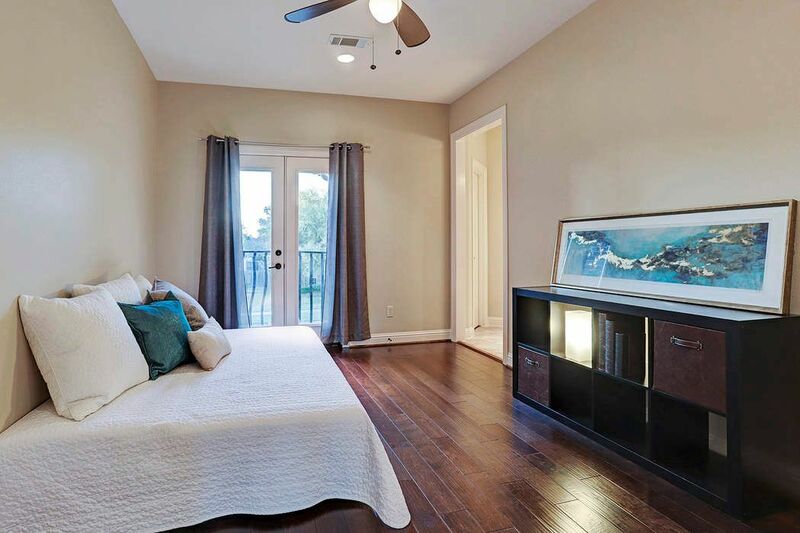 SECONDARY BEDROOM UP One of two adjoined by Jack and Jill bath with hardwood flooring and Juliet balcony providing views of the front. 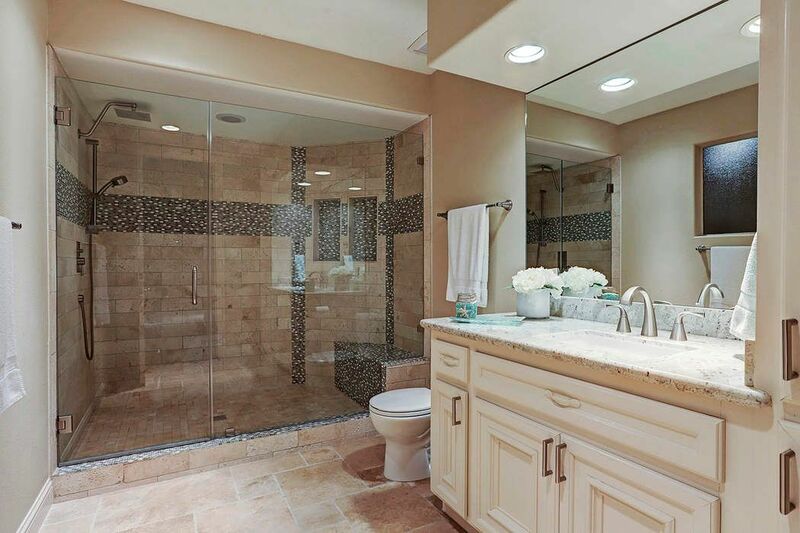 $1,690,000 6 Bedrooms6 Full / 2 Partial Baths7,604 sq. ft. 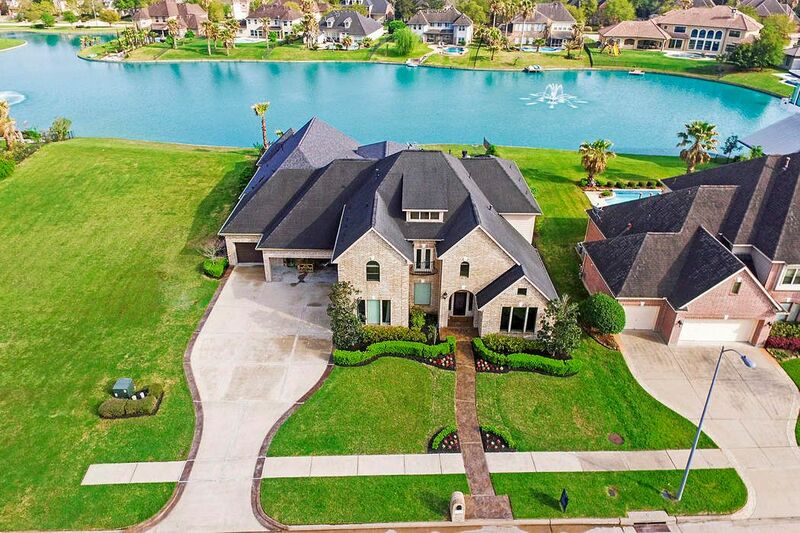 Remarkable, executive home positioned on a lakefront lot. 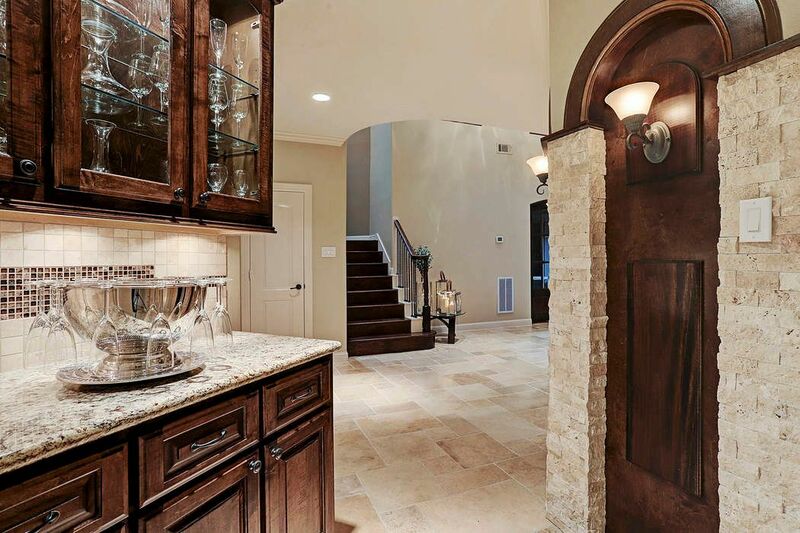 Superior craftsmanship pairs with noteworthy architecture and high end finishes including wide-cased doorways, stone detail, barrel ceilings and more. 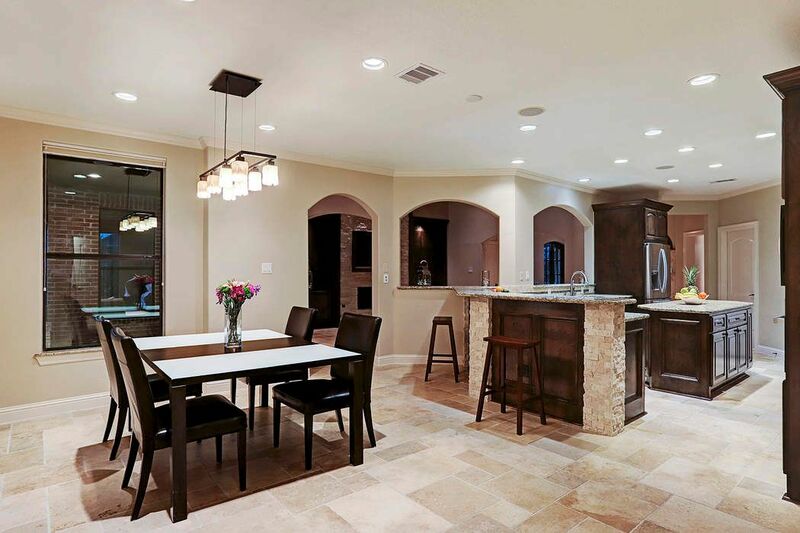 Seamless remodel, more than 3,000 sq. ft., added in 2016. Dual masters plus third bedroom down. 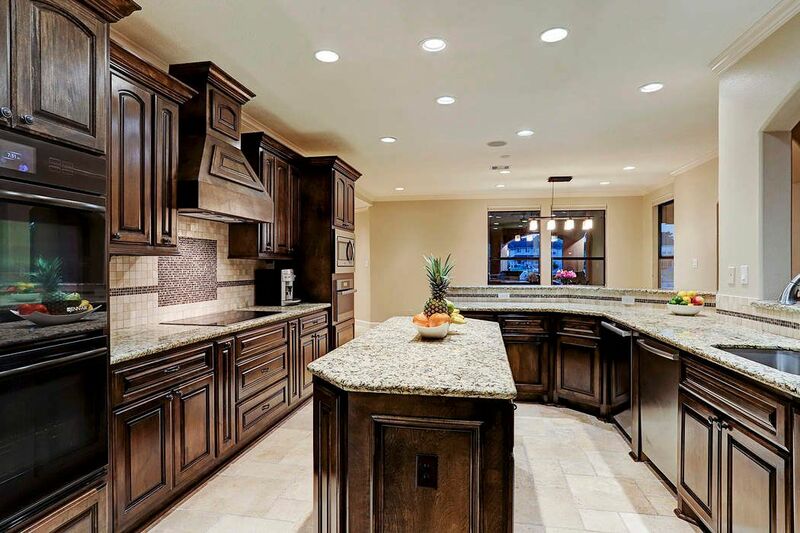 Island kitchen boasts stainless steel Meile appliances, dual dishwashers and induction cooktop. Colossal home theater with 120-in. 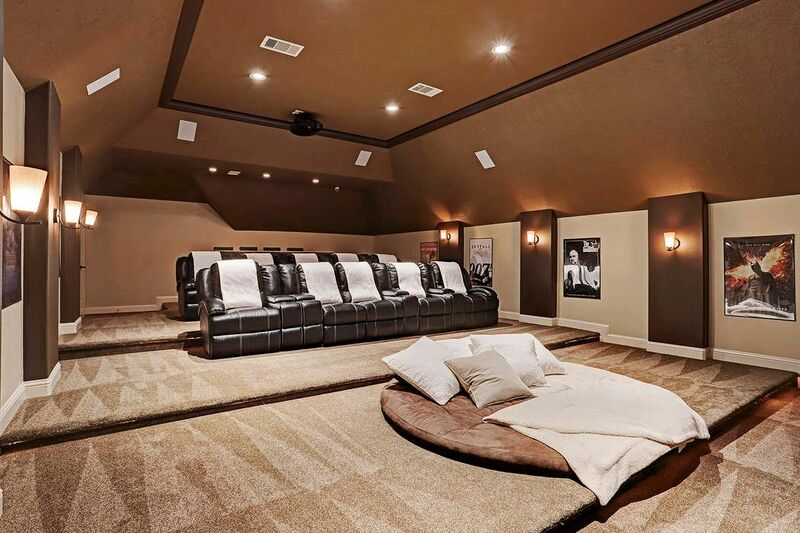 screen and tiered seating with adjoining gameroom with balcony access and kitchenette. 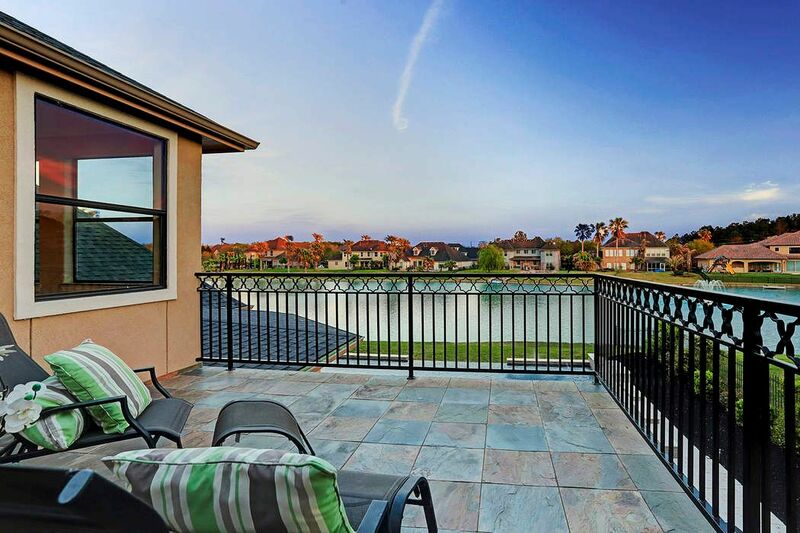 Entertaining flows to the expansive covered lanai, outdoor fireplace and fully equipped outdoor kitchen including gas grill and smoker. Replete with sparkling Infiniti pool and surround sound throughout. Spectacular, evocative panoramic lake view. 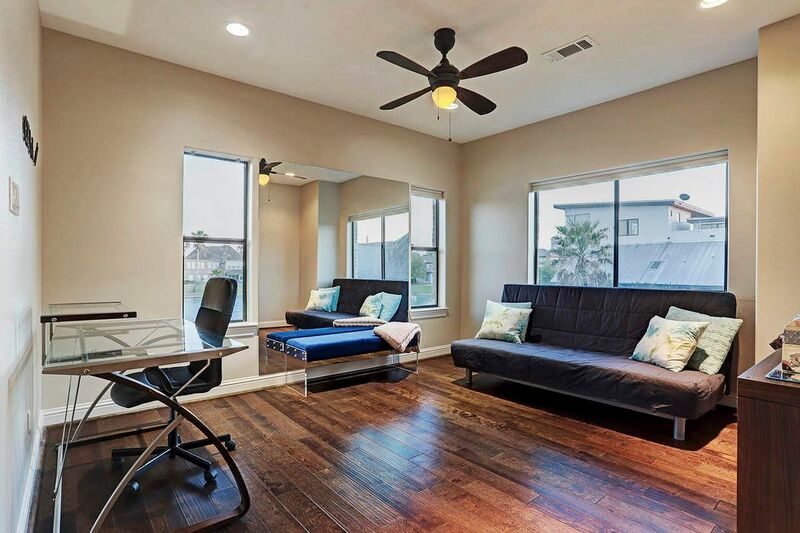 Convenient to Energy Corridor and Downtown Houston.